Venesky-Brown are proud to announce Health In Mind as their chosen charity of the year. 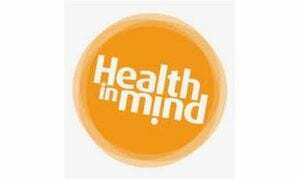 Health In Mind are a mental health charity who have been promoting mental health in Scotland since 1982. Offering a wide range of services designed to offer support and advice, Health In Mind works with the community to help everyone reach their optimum in mental wellbeing. As the UK’s leading specialist provider of staffing and project solutions, Venesky-Brown prides itself on being a conscientious and caring employer, and in partnering with Health In Mind, hope to raise awareness of a cause close to the company’s heart. Working with people in a variety of capacities – whether it’s trusted partners, valued clients, in-house staff or high-quality specialised labours – Venesky-Brown understands the value of the work that mental health charities like Health In Mind do. In the UK, it is estimated 1 in 4 people will experience mental health issues each year, with over 8% of people suffering from anxiety or depression annually. While attitudes are changing slowly, there is still a huge stigma attached to mental health in the workplace, which Venesky-Brown is tackling head-on. In light of the recent partnership, Venesky-Brown will be adding a Health In Mind brochure to its induction pack, and providing resources to existing employees to promote positive mental health. To further aid a supportive working environment, Venesky-Brown’s managers have also attended mental health workshops and training. If you are looking for help or advice with mental health issues, find more information and support health-in-mind.org.uk. This entry was posted in Health &Safety, Uncategorized on May 15, 2018 by Aga.